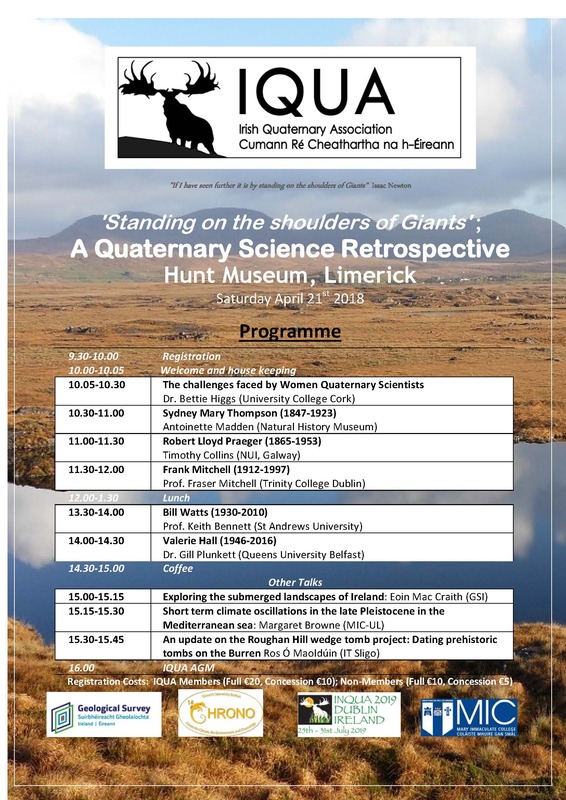 The IQUA committee are pleased to confirm that ‘Standing on the Shoulders of Giants: A Quaternary Science Retrospective’ will take place in the Hunt Museum on Saturday 21 April. This one day symposium will consist of a series of retrospective talks in celebration of key Quaternary scientists known for their trailblazing work investigating how the Irish landscape was shaped during and since the Ice Age. Please find poster below. Alongside the day of talks, the Granary Library will feature a free family-friendly exhibition of extinct and contemporary Irish mammals on Friday 20 and Saturday 21 April from 11am – 5pm. Please find poster below. Please feel free to bring these events to the attention of anyone you feel may find them of interest. 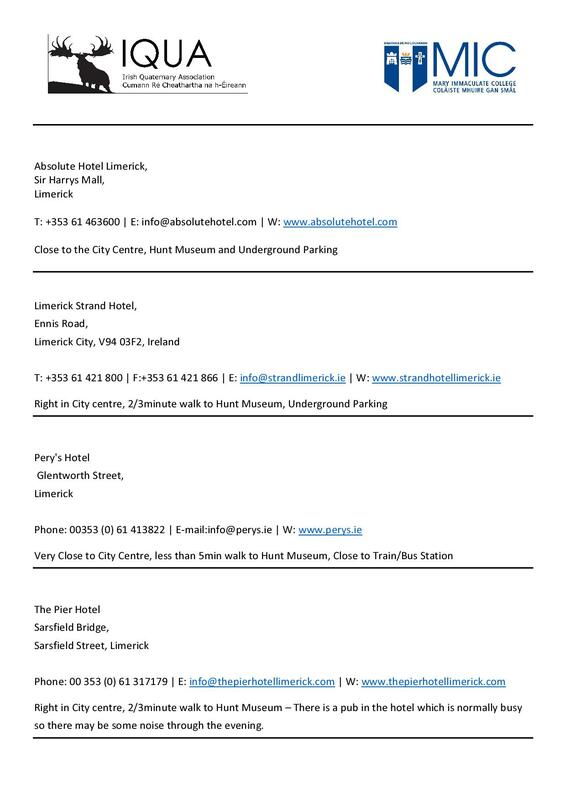 A list of local accommodation is also below.